Landrum Chiropractic operates as a diagnostic and treatment center for human performance. As one of Hopkinsville, Ky most comprehensive, manual care clinics, we offer innovative soft-tissue treatments, research based rehabilitation protocols and advanced chiropractic manipulative techniques to restore proper joint biomechanics. 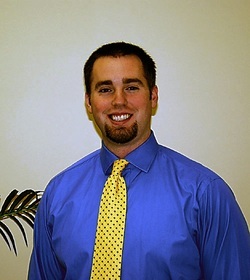 Landrum Chiropractic specializes in the treatment of common musculoskeletal disorders affecting the spine and extremities, while also tailoring his clinical practices to meet the unique needs of his patients ranging from laborers, office workers, athletes and even expectant mothers. Dr. Landrum’s integrated health care approach provides effective treatments for a variety of conditions, including carpal tunnel, plantar fascitis (heel spurs), headaches, back pain, as well as injuries related to elbows, shoulders and knees. With a mission to improve the world’s view on chiropractic health care one patient at a time, the greatest reward is returning patients to their active lifestyles in the shortest time possible. To achieve this, the first goal is to relieve the patient's symptoms, and the next important step is for the patient and Dr. Landrum to work together to develop a plan to prevent the reoccurrence of the problem. To start learning more about your symptoms, go to the top of the page and click "Conditions" and follow the on-screen instructions.